Courtesy of Akers Ellis Real Estate LLC. LOCATION…. it does not get any better than this. You are steps away from the Roy Barth Tennis Center and The Sanctuary Hotel! This is a gorgeous, renovated one bedroom, one bathroom second floor Tennis Club Villa. It is currently on a rental program and has a healthy rental history. The kitchen is a chefs dream with an abundance of counter space for food prep or entertaining! 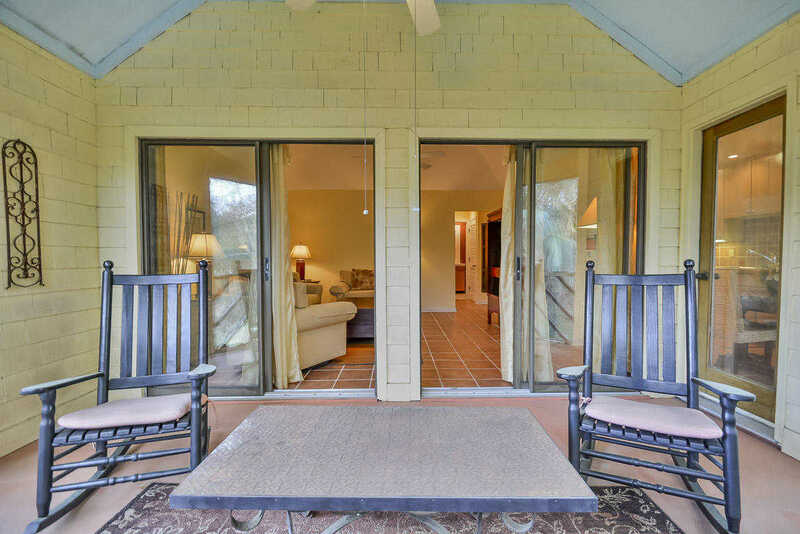 There is a lovely scenic screened in porch for viewing Kiawah’s natural habitat or tennis. The living space beautifully appointed and has a sleeper sofa that helps with additional rental income! In the master bedroom you will appreciate custom built ins, king size bed and a bump out for a desk or media center. Sold fully furnished. At closing,Buyer is to pay .5 of 1% of sales price as a onetime fee to KICA. I would like to schedule a private showing for this property: MLS# 19010914 – $239,000 – 4652 Tennis Club, Kiawah Island, SC 29455.